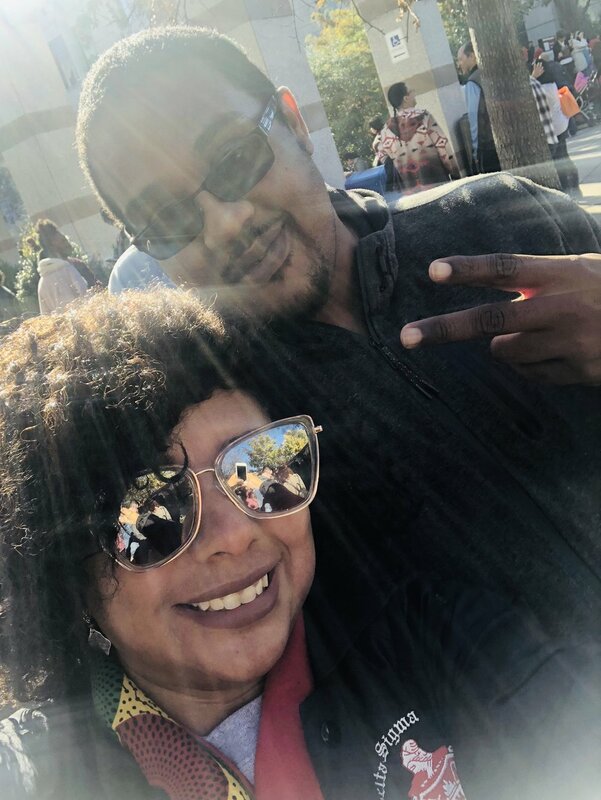 I had the honor to attend the 23rd Annual NC Indian Heritage Month Celebration in Raleigh, NC. This is my 15th year attending the celebration and each year it has been a beautiful experience. My family’s heritage is Eastern Band Cherokee, Lumbee, and West African but recently I’ve been researching our family history and I’ve discovered leads to the Haliwa-Saponi tribe. I’ve been attending and participating in powwows since my early childhood. So what is a powwow? Personally, I see it as a festival or celebration type of event that showcases various American Indian dances, customs, food, and entertainment. It’s a family-friendly event that is typically free admission. Shameless Plug Alert: Check out my new Facebook Page Black Indians NC for updates! So this year I decided to take our Creative Director Rashard “Miguel” Conrad so he could check out the festivities. 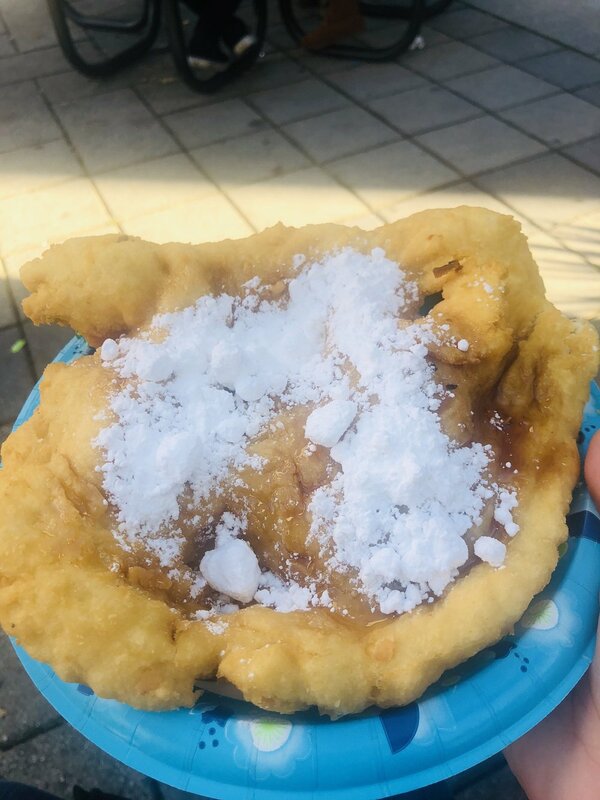 We had a great time and each year I have to have Mills on Wheels infamous frybread, a delicious funnel-cake like dessert with powered sugar and honey. This year one of my favorite drum groups was performing, Stoney Creek. However, the beautiful vision of people from all walks of life celebrating American Indian culture is my favorite part of this event each year. You have an opportunity to meet people from various tribes and ethnic backgrounds. Still, it’s amazing to me how many people do not know about this annual event held outside of the NC Museum of History. There were numerous vendors, food trucks, and this year our dear friend Mallory Richardson’s magazine, The Phoenix Tribune, was a table vendor. I can’t wait until powwow season begins and I hope you join us there!